28 Entertainment has obtained the rights and is currently in script development on the film adaptation of the book. This is the unforgettable story of how an ordinary Iraqi became a hero to America's elite warriors—and how that debt was repaid with the gift of freedom. He was the seals' most trusted interpreter... and more. Night after night, while his homeland was being destroyed around him, he guided the U.S. Navy SEALs through Iraq's most dangerous regions. Operating under the code name "Johnny Walker," he risked his life on more than a thousand missions and became a legend in the U.S. special-ops community, many of whose members credit him with saving their lives. But in the eyes of Iraq's terrorists and insurgents, he and his family were marked for death because he worked with the Americans... Then the SEALs stood up to protect the man who had watched their backs through the entire war. Over the course of eight years, the Iraqi native traveled around the country with nearly every SEAL and special-operations unit deployed there. Using his wits to outthink the insurgency, Johnny Walker unmasked countless terrorists and helped foil an untold number of plots against Americans and their allies. He went on hundreds of missions, saved dozens of American lives—both SEAL and civilian—and risked his own life daily. He and his family lived in constant jeopardy, surviving multiple assassination attempts and a host of threats in Mosul, until a desperate escape through the desert late in the war took them to the relative safety of Baghdad. Fearing for Johnny's long-term safety after the war, the SEALs—now as close as brothers to Johnny—took it upon themselves to bring him to the United States, where today he and his family live their version of the American Dream. He remains in the fight by helping train the next generation of American special-operations warriors. For the first time ever, a "terp" tells what it was like in Iraq during the American invasion and the brutal insurgency that followed. 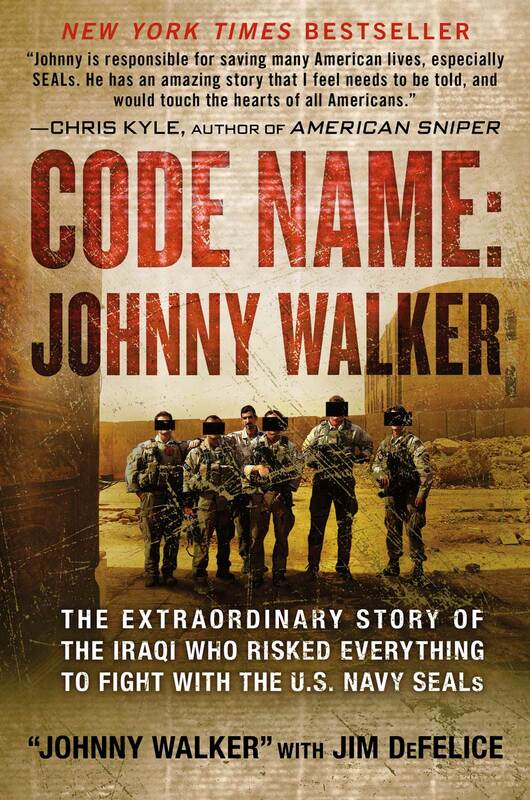 With inside details on SEAL operations and a humane understanding of the tragic price paid by ordinary Iraqis,Code Name: Johnny Walker reveals a side of the war that has never been told before.